Last wednesday I took a mini road trip with my mother to Tecate B.C., Mexico. I have family there, so we wanted to take advantage and visit them too. Tecate is a small city located on the U.S./Mexico border. It is well known for it's beer, which has the same name, and which is served all over Mexico. 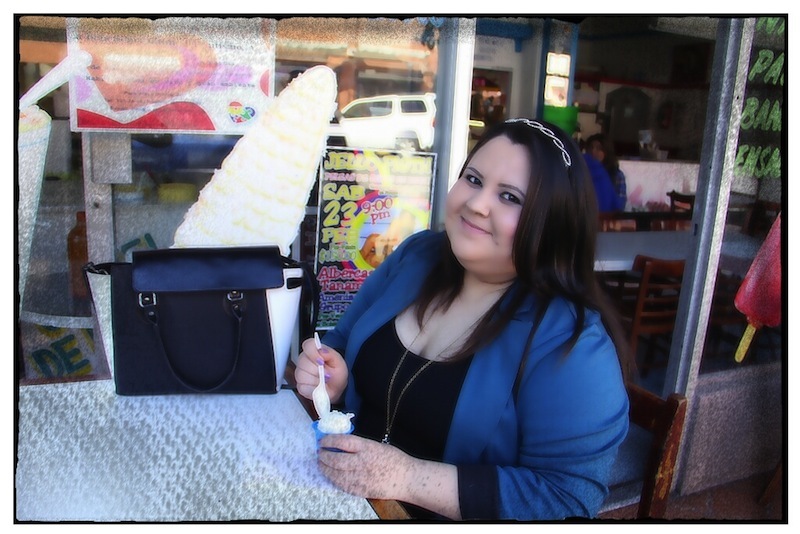 I have visited Tecate since I was small and there is one place where I MUST stop by every time I go, and that is the Paleteria La Michoacana (The Ice Cream Parlor named La Michoacana). 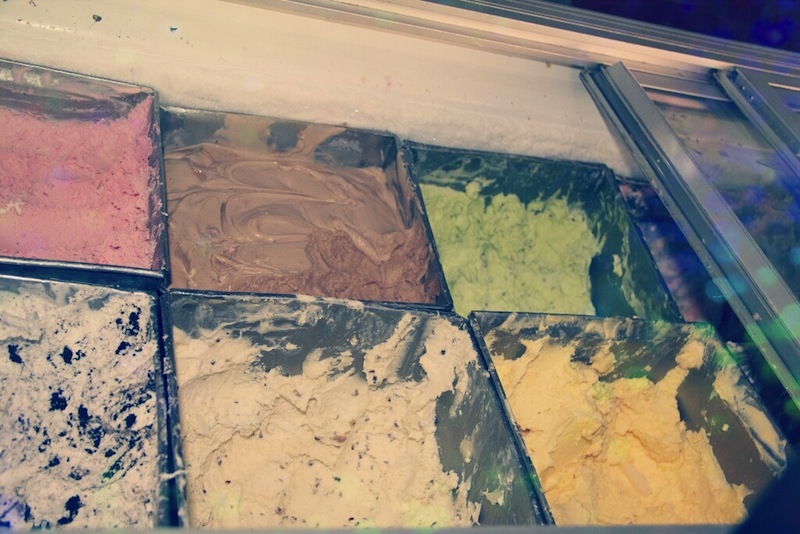 There are many Ice Cream Parlors in the area, but the one in the pictures below is my favorite. They have nachos, ice cream, fruit salads, fruit water, popcorn, "esquites" (corn in a cup), and many other "Mexican" snacks. The Ice Cream Parlor is located in front of the main park. Once you enter Tecate through the San Diego 94 freeway, you go straight down and you will see the park. The park is always very vivid and full of movement. 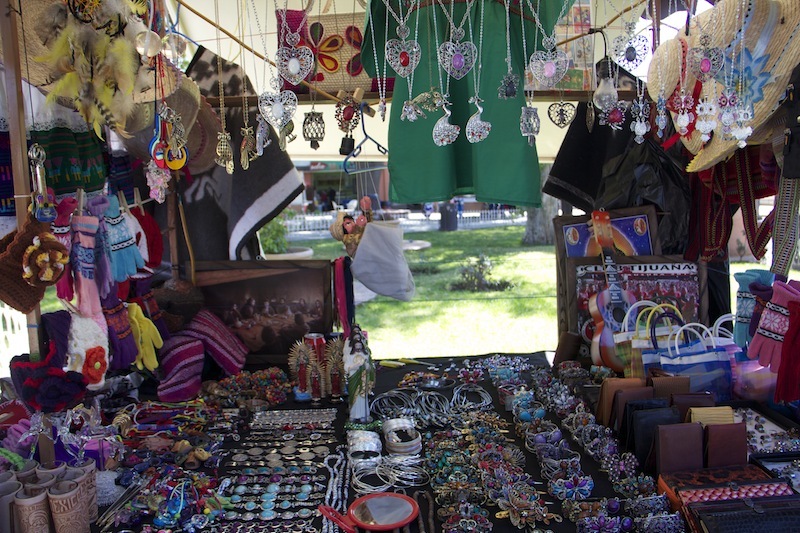 Vendors sell jewelry, accessories, small guitars, candy, and many other things. Older men gather around the park's tables and play poker and couples gather around the kiosk to talk. 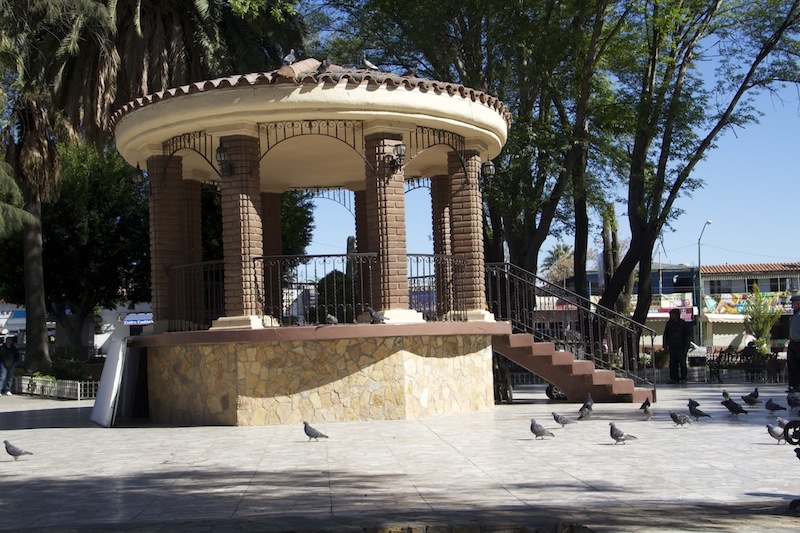 Tecate can be a very small city, but it is definitevely full of life. 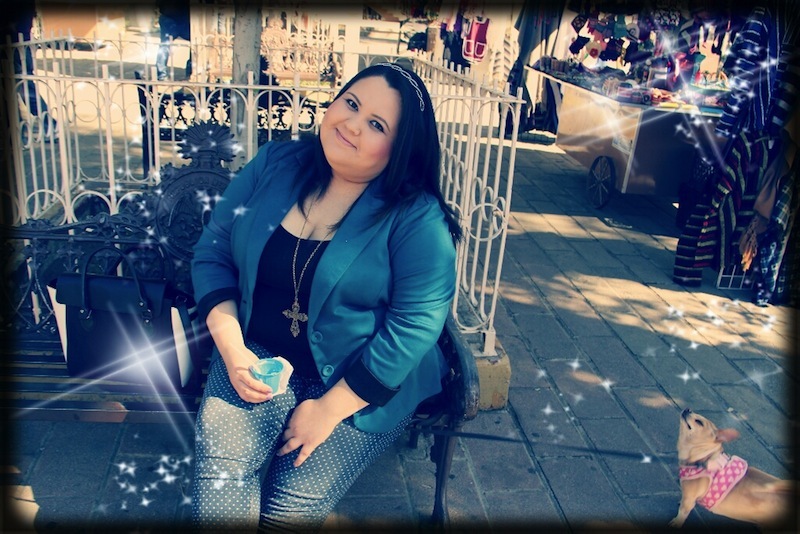 If you have not visited Tecate, I can assure you that you will love it. El Miercoles pasado tenia el día libre y decidí darme un paseo con mi mam a Tecate B.C. Tengo familia allí así que aprovechamos para visitarlos también. Tecate, por si no sabes, es una pequeña ciudad localizada en la frontera Mexico/Estados Unitos. Es muy conocido por su Cerbeza del mismo nombre, la cual es muy popular en todo Mexico. 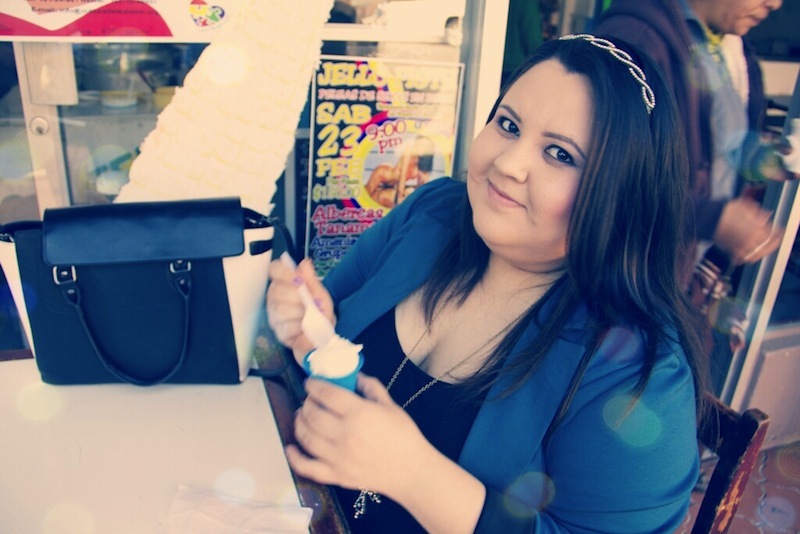 He visitado Tecate desde hace mucho tiempo y siempre hay un lugar donde TENGO que parar y ese es la Nevería La Michoacana. Ya se, hay muchas neverías con ese nombre pero la que ven en la foto de abajo es la numero uno. Esta nevería tiene un espacio grande donde puedes disfrutar con tus amigos y/o familia. 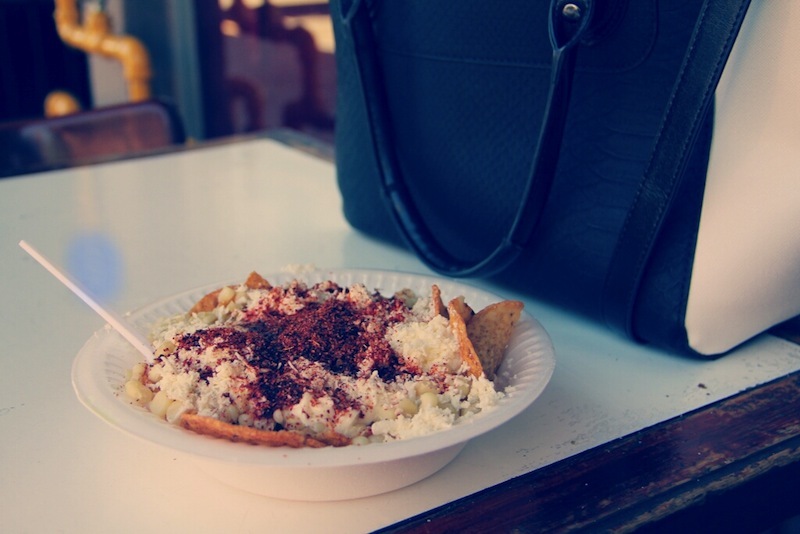 Venden nachos, nieve, paletas, ensaladas de fruta, palomitas, esquites, tosti-esquites, elotes, y muchas cosas mas. La nevería esta localizada enfrente de el parque principal. En cuanto entras a Tecate por la autopista 94 de San Diego puedes ver el parque y la neveria que les comento. El parque siempre tiene movimiento. 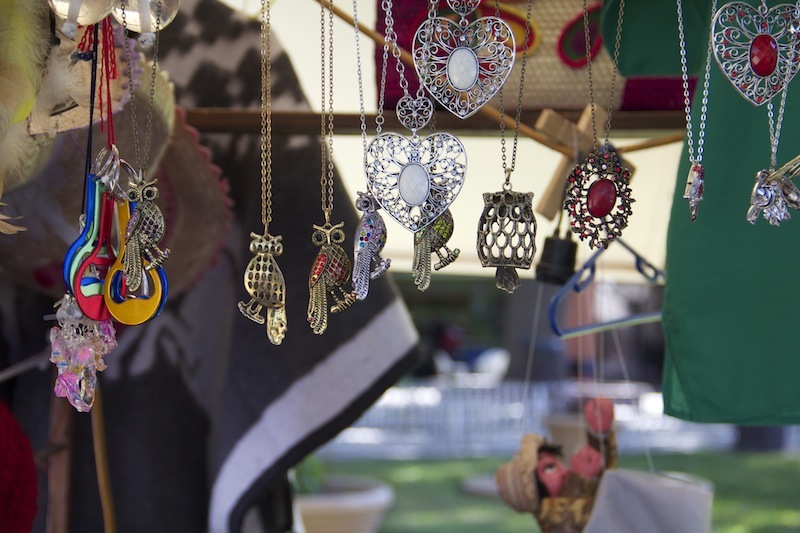 Puedes ver vendedores que venden adornos de cristal, joyería, accesorios, dulces y muchas cosas mas. Tambien puedes ver a hombres mayores sentados en las mesas del parque jugando cartas y parejas paseando y sentados alrededor del kiosko. Tecate puede ser una ciudad pequeña pero esta llena de vida! Si aun no visitas Tecate te aseguro que te va a gustar. These are Tosti-Esquites. They have corn, cheese, chips, chile, mayo, and lemon. My Favorite Ice Cream flavor is lemon. The Ice Cream in Mexico is always made of real fruit. I particularly like the non-dairy ice cream! I always buy water based lemon and strawberry ice cream. It is THE BEST! 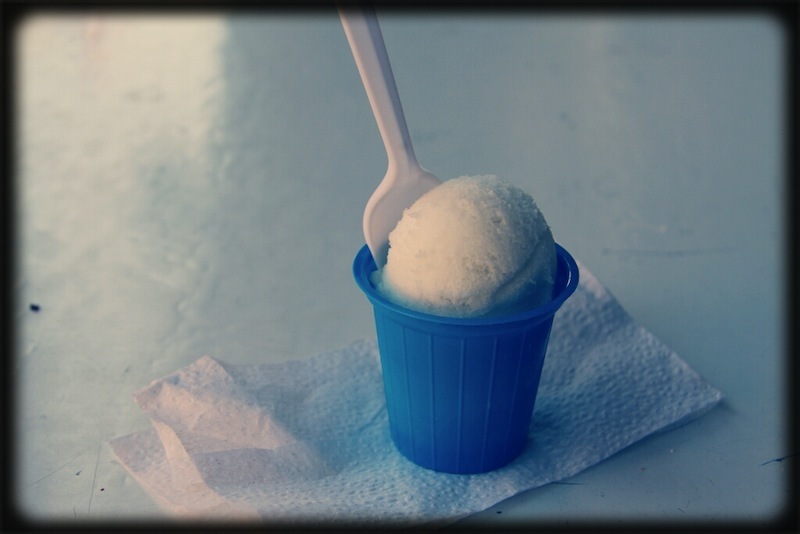 AMO la nieve de limon con fresa de agua. Eso es lo que siempre compro cuando voy allá. Fruit Salad with Cottage Cheese and honey. Ensalada de fruta con queso cottage y miel. I loved all of the owl accessories that they sold! A q sabe el cottage cheese? Nunca lo he probado. mmmmm sabe medio agrio pero con miel esta super bueno. Tiene una textura un poco rara pero no sabe mal, promise!! Aunque bueno, a mi solo me gusta con fruta. How cool, loved the ice cream and fruit salad! Ya se!! NUNCA fallan :D Aca en USA no venden nieve de agua :( Asi que cuando voy siempre compro de limon con fresa :D A la otra provare las paletas de arroz o zarzamora :D Gracias por la recomendación!